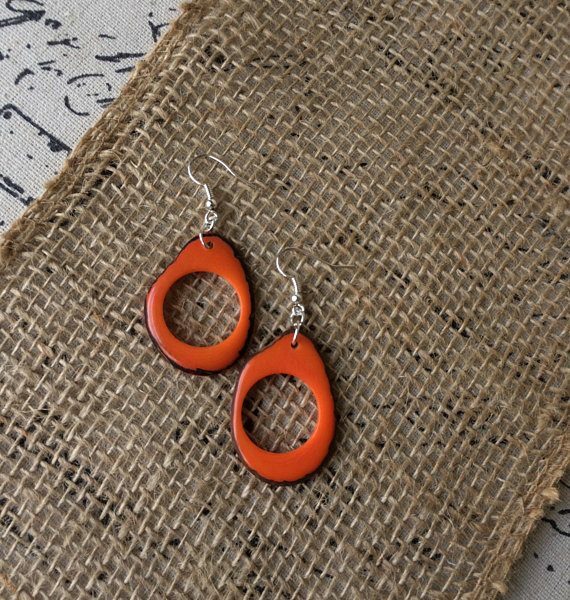 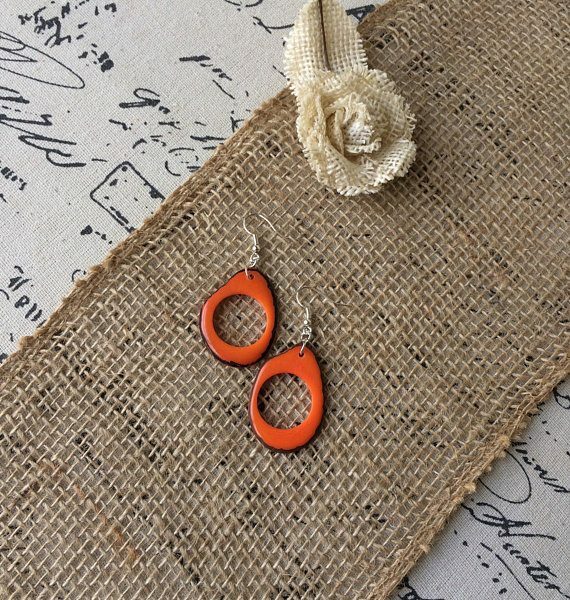 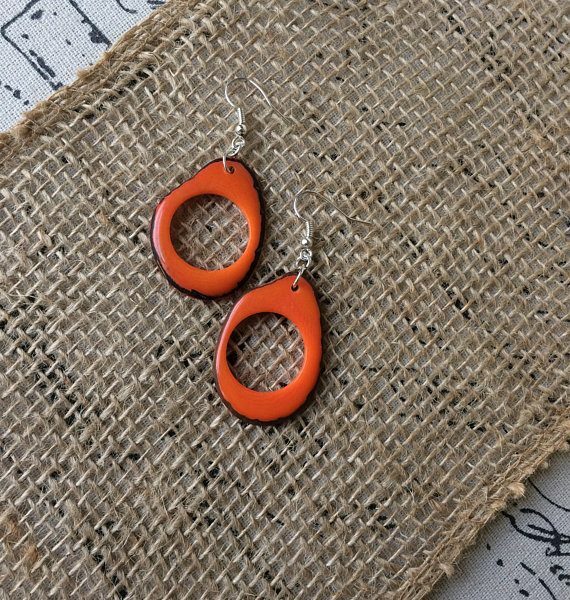 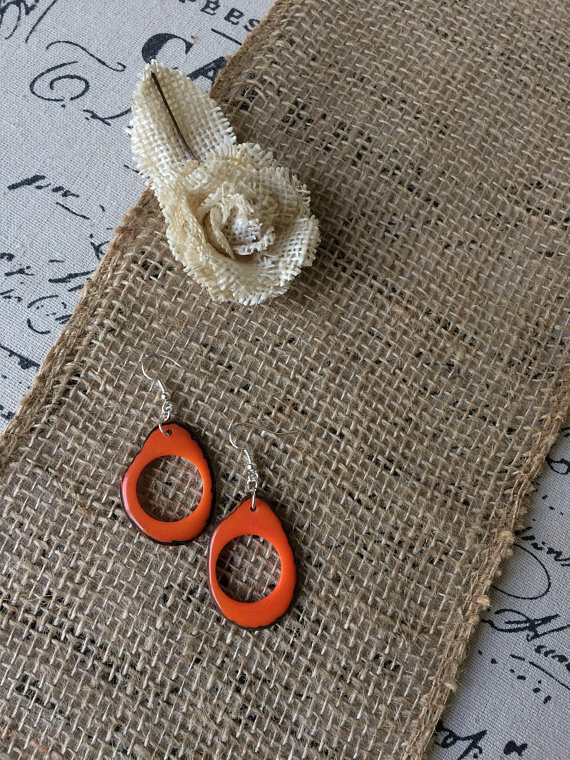 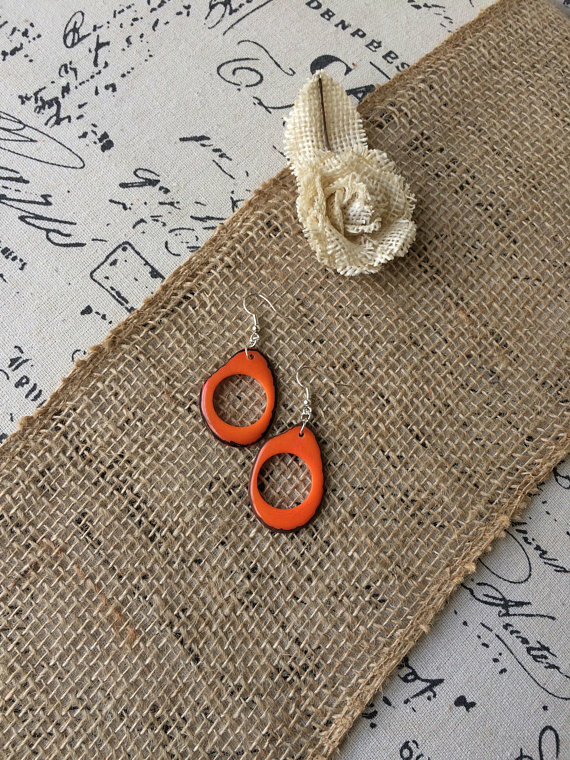 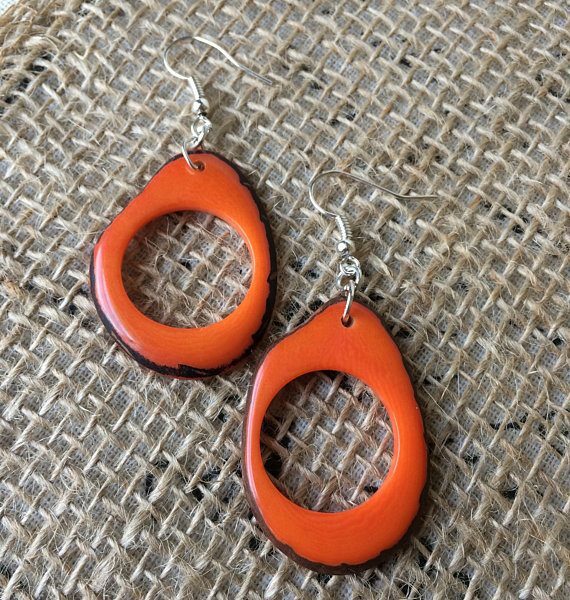 These beautiful orange Tagua earrings are made of thin slices of Tagua nut, dyed with organic ingredients only. 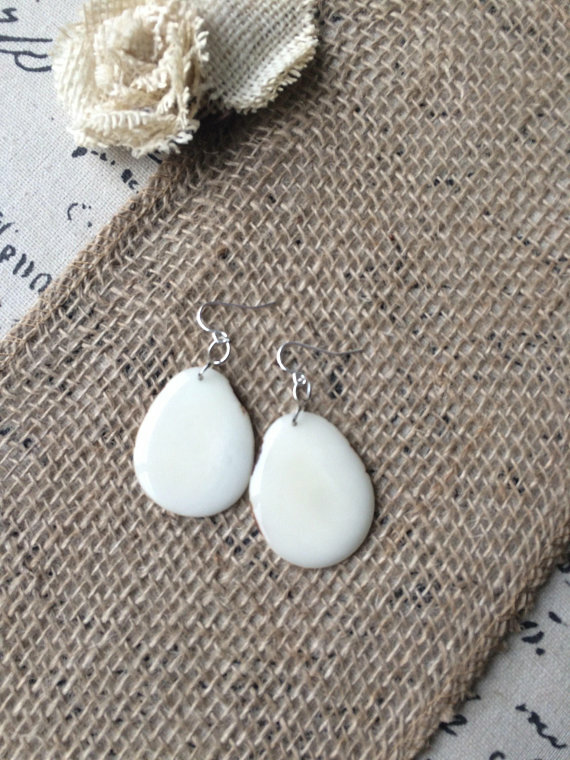 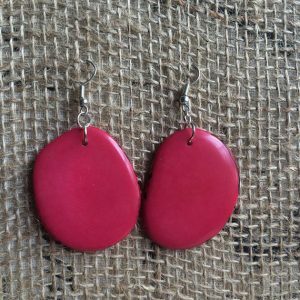 These Tagua earrings are very lightweight and very fun to wear!, at the same time they are very resistant. 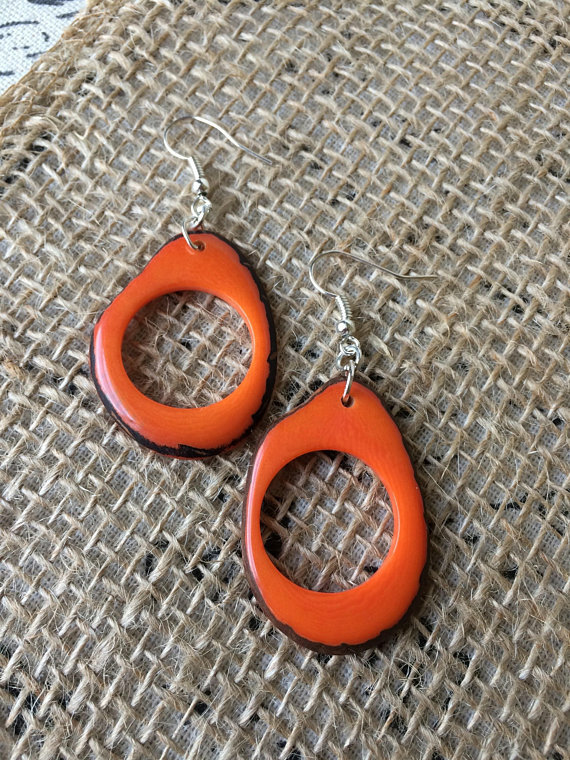 The earrings are about 1 1/2 inches from the top of the earwire to the bottom of the tagua bead. 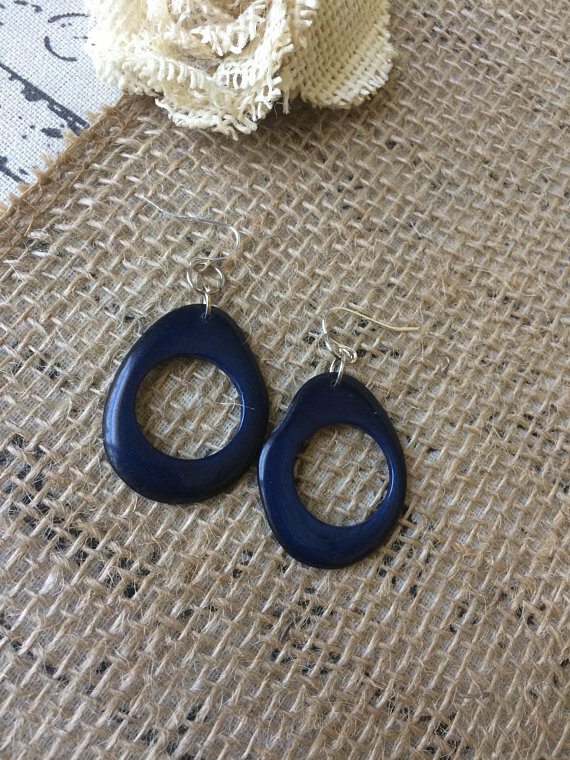 They are about 1 inch across. 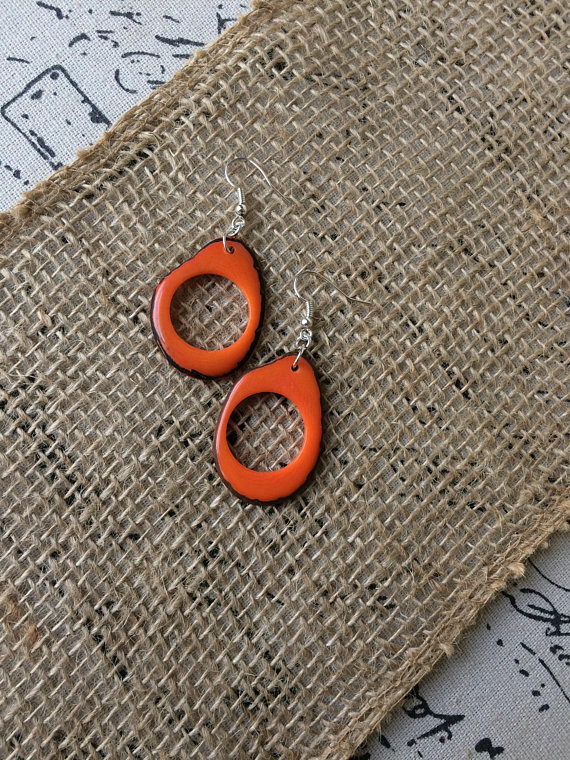 *Slight variations in size will occur, due to the nature of our product. 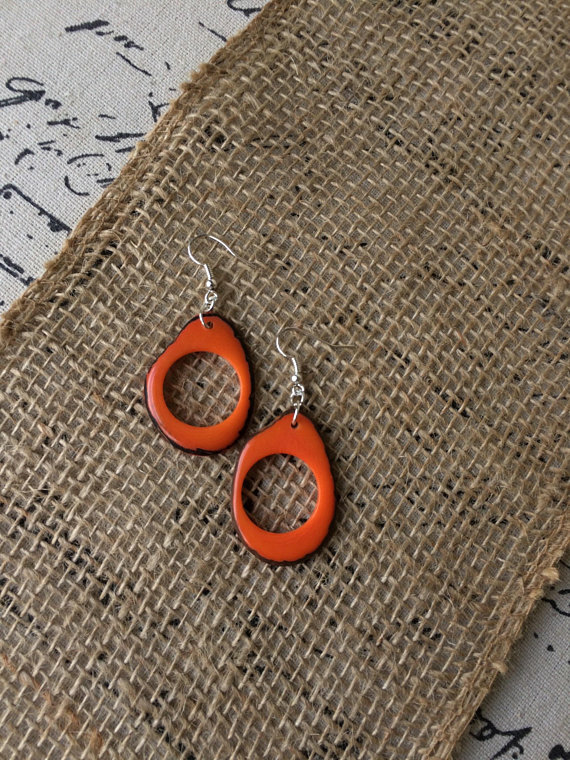 Each pair of earrings is unique.